NOTE: This column contains SPOILERS for The Tesla Effect. So don't read it unless you've already beaten the game or don't really care about having parts of the story and the puzzles spoiled. 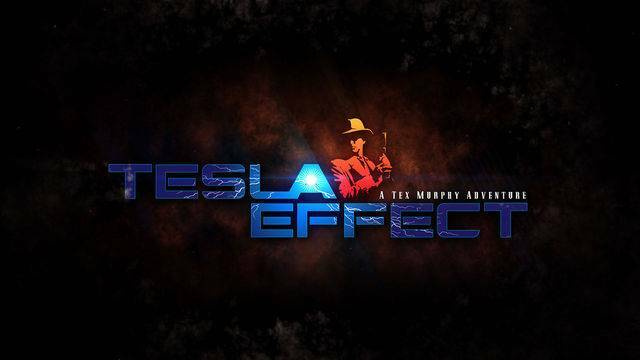 As I said in my earlier review of The Tesla Effect: A Tex Murphy Adventure, I enjoyed this game immensely. My enjoyment, however, was not without reservation and while I was pleased with the game overall there was still a lot that detracted from the experience. With that in mind, I've decided to highlight the four problems that prevented the game from being quite as good as it could have been. Back in the day, pixel-hunting was an unavoidable consequence of adventure gaming. Graphics technology could only do so much to simulate a realistic environment and you had to look at everything with a magnifying glass on the odd chance that That One Item would be hidden behind something that could be pushed or pulled.or otherwise manipulated. Graphics have advanced quite a bit since the last Tex Murphy outing and The Tesla Effect does take advantage of the improvements in rendering since then. Unfortunately, it seems they elected to replicate the old pixel-hunting puzzles by rendering everything in the exact same colors. Granted, this isn't as big a problem in the game's easy mode, where the flashlight will highlight anything of interest when you stumble across it. But there are several points - particularly in the Sensen temple at the game's midway point - where only by looking at everything from every angle will you be able to find several of the smaller items you need to advance on hard mode. Indeed, this was enough of a problem that the game designers made a joke about it in one of the game's trailers! I'll give them credit for being able to laugh at themselves. But it doesn't change the fact that this was a serious gameplay issue. 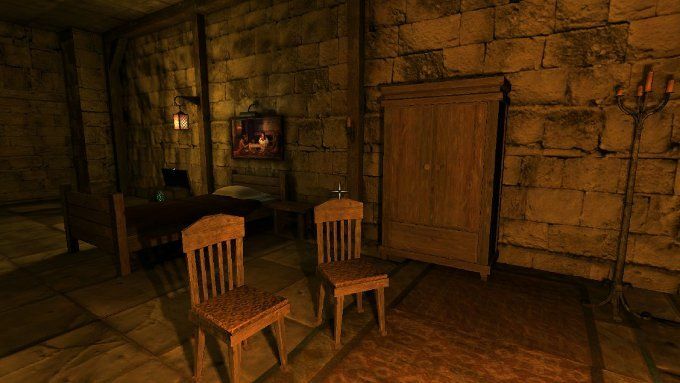 Indeed, one of the key reasons many critics slagged the game's mid-point was because of the hunt for That One Keycard, in the middle of a stealth level, which was hidden in a place that made little logical sense and was colored in a way that it blended in perfectly with the brown stonework in the brown room with the brown furniture and everything is brown, like a monk's robe is brown and suddenly it's an Eddie Izzard routine BROWN this and BROWN that and everything is BROWN! It's well known among fans of the Tex Murphy games that the series' fifth game - Overseer - was meant to be the first part of a trilogy. 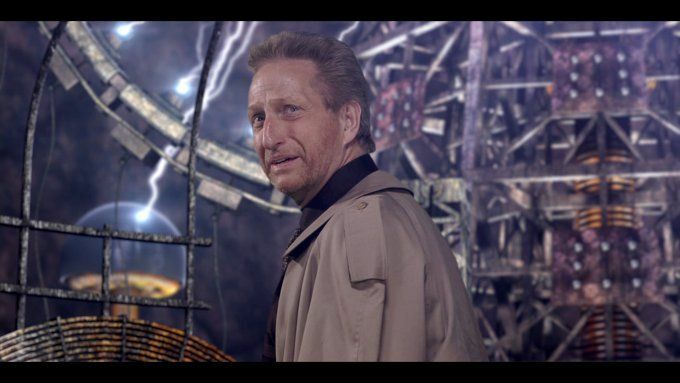 Reportedly the second and third parts of that trilogy were condensed to create the story for The Tesla Effect and bring Tex's story to some kind of closure. All well and good except that the final game seems to be incredibly random about what elements from the original story have been included. Case in point. Depending on what path you take through the story, you may come across a subplot which suggests that Tex is the reincarnation of another private investigator from 100 years earlier, who used to operate out of the same office. Brief mention is also made of Nikola Tesla's interest in psychometery - the ability to visualize the history of a person or object through psychic or mechanical means. Both of these ideas are used to explain why Tex had brief flashes of a life that wasn't his own. So what does any of this have to do with the overall story? Nothing really. Depending on your path, you may not come across this information at all! And even if you do, we breeze through the sections where we learn why pre-amnesia Tex was researching these subjects and very little is made of the idea that either reincarnation or psychometery are possible. On a similar note, the revelation that The Tesla Society mastered the ability to bring the dead back to life is never truly explored. And Tex himself mutely accepts the revelation that the story's big bad - The Translator - is the resurrection of the FBI agent who stole Nikola Tesla's papers far too easily. Granted, technological resurrection isn't the most outlandish idea in the game, but it is one that might have merited a little more discussion. Indeed, any one of these ideas would be worth a game in itself! So what takes the place of all the cut scenes that might have been used to expand on the world and the story? Puzzles. Endless logic puzzles. And mazes. And more puzzles. Don't get me wrong. I enjoy a good puzzle as much as the next gamer. Probably more. But there are several points where it is obvious that more puzzles were put in to the game for no reason other than to prolong the gameplay during the parts where the story had to be sacrificed for reasons of time and budget. There's very little detective work in the final half of the game, with the time that might have been used to explore some of the threads raised and dropped by the plot spent pushing buttons, wandering mazes and pixel hunting That One Item you need to move on to the next button-pushing puzzle. I'm not talking about Tex's kleptomania. Nor am I talking about the twisted logic that causes you to use explosive chewing gum to blow open a cabinet so that you can get a hammer so you can beat a gear back into shape so that you can repair the mechanism to open a completely different door that is stuck shut, when you could just use the explosive chewing gum to blow up the stuck door in the first place. No, I'm talking about the motivations of the individual characters not making sense within the context of the story itself except as a means of padding out the game with more puzzles. There's quite a few examples of this but I'm going to focus on two - Ariel (one of the potential love interests) and the Big-Bad himself, The Translator. Ariel is a spy who has some kind of a past with Tex. A wiki for the series says that she had a brief romance with Tex at some point in 2040 but I don't think this information ever came up in the game. Somehow, Ariel figures out that Tex doesn't recognize her anymore based on one accidental phone-call and - when she runs into him later - she poses as the estranged wife of the neurologist Tex is trying to track down. Later, when the truth comes out, Ariel says that she had to be sure Tex was still on her side. Even though it was obvious that he had no clue what side he was on. Why go through that much effort to mislead Tex when he could just as easily be manipulated into helping her? Hell, at that point she had nothing to lose by being honest and everything to lose by delivering a lie that Tex could easily disprove later. If you decide to ally yourself with Ariel despite knowing full well she's a manipulative liar, she gives you information that may help you recover your memory. This help comes in the form of a key to a sewer maze filled with man-eating mutants. This leads you - eventually - to a note that tells you to go to the Blue Dragon warehouse. There, you find the fragments of a picture and a number of objects that trigger more flashbacks of a life that isn't Tex's. What does any of this have to do with the main plot? Nothing, really. Why couldn't Ariel just tell you to go to the Blue Dragon in the first place? Because then you wouldn't have killed 20 minutes wandering the sewer maze and putting together that torn-up picture! For the problems with The Translator and his story arc, let's go back to the halfway point that was singled-out by many critics as the most annoying section of the game. It is here that Tex gets a lead on locating the neurologist who might be able to cure his amnesia. 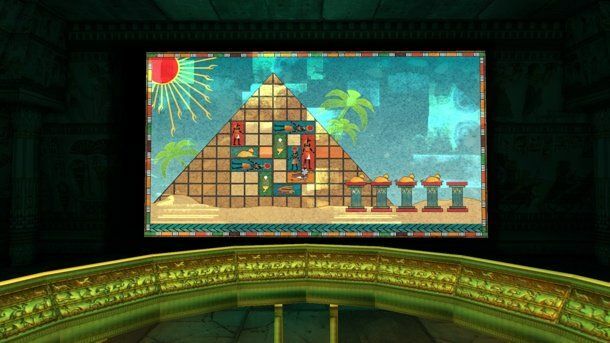 This lead takes Tex to the doorstep of an Egyptian-themed secret society - Sensen - who have a strenuous intelligence test for perspective members. You solve a sliding tile puzzle to open their gates, only to have all the alarms go off and be forced to flee. When you arrive back at your office, you have a fax waiting for you. This leads to an encounter with Big Jim Slade - a villain from Overseer - whom Tex has apparently become chummy with during his lost time to the point that the two are business partners. Slade helpfully gives Tex the item he needs to bypass the alarms on Sensen's front gate. After spending a goodly amount of time doing logic puzzles to retrieve seven sacred symbols to pass Sensen's first membership test, you are granted admission... to a second testing area! Pass these tests and you are finally granted admission to the inner areas of the temple. Here, monks with flashlights are patrolling the halls along with high-powered spotlights and to be seen is to die instantly. Solve all the puzzles in this area - which all hinge upon you first finding that furshuganla keycard - and you find the man you need, only to discover that he too has had his memory erased. Thankfully, he has the tools you need to go retrieve the means to curing his amnesia and breaking him out of his cell. 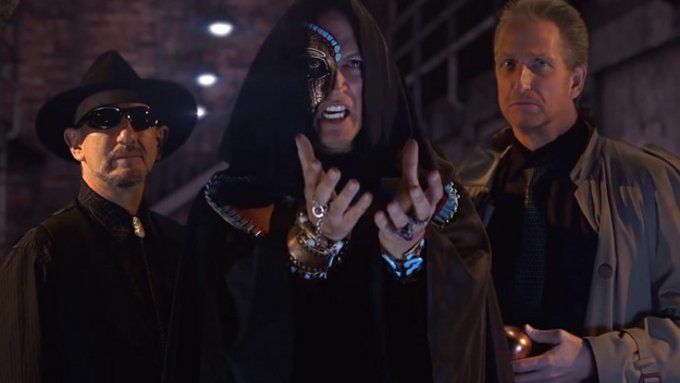 These puzzles take up the rest of the next game day and lead to the revelation that he erased his own memory to prevent the villains from finding out what he knew. After the man commits suicide rather than be forced to talk, Tex is discovered and escorted to meet The Translator. And it's here we find that Tex - along with Big Jim Slade - was in the employ of The Translator before Tex's chemically induced amnesia and that they had nothing to do with Tex losing his memory. Indeed, they are as upset about Tex's memory loss as Tex himself. So, let's backtrack. Tex needed to get into Sensen. We know, based on the fact that they have alarms on the front gate that require a specific item to get in, that they are a highly secure facility that is being continually monitored by mechanical and physical defenses. Presumably this includes monitoring any new recruits that come into their facility and leaving them to their own devices, as the entire upper temple is deserted while the test of intelligence is being conducted. Given all that - and the fact that the controls for the security system are hidden in a secret room inside The Translator's office - why doesn't he recognize Tex immediately and investigate why his hired detective is schlepping around without a clue? Why doesn't Big Jim Slade take Tex to go meet their mutual employer after his first failed attempt to get in the building? Is it a test of Tex's intelligence and loyalty? Why bother with this when The Translator is ignorant of Tex's amnesia until they meet for what is, from Tex's perspective, the first time? Why? Because the only reason any of these puzzles and the whole Sensen temple area exist in the first place is to provide an avenue for a bunch of puzzles and a stealth zone. It doesn't make a lick of sense for The Translator not to be monitoring who is entering his compound and yet that is the only explanation for why Tex is allowed to go into the temple in the first place!